The Pediatric Dentistry Center at BMC provides a wide range of dental care to children from newborns to age 18. Our clinic is part of the Boston University School of Dental Medicine. We provide high quality care for a child’s developing teeth, including preventative care, restorative care, and orthodontics. Additionally, our Pediatric Dental and Oral Surgery Residents are on-call 24/7 for walk-in patients requiring emergency care. Most treatments are performed in the dental clinic. If a child is especially anxious, we can provide nitrous oxide/O2 sedation (also known as laughing gas sedation). Children with special needs that cannot tolerate the dental chair, or very young children are able to be seen in the operating room, where all of their dental needs can be treated in one session while the child sleeps under general anesthesia. Our clinic staff has the ability to communicate with patients and their families in a variety of languages including Spanish, Portuguese, Farsi and Ethiopian. For other languages, we’re happy to schedule an interpreter through interpreter services. Our clinic is accredited by the Commission of Dental Accreditation of the American Dental Association. 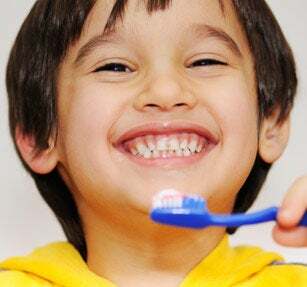 Our services follow the guidelines and recommendations set forth by the American Academy of Pediatric Dentistry, which are updated annually to make sure that your child receives the most updated and appropriate care. Children need to be seen at the dentist’s office by their first birthday. If you have not yet scheduled an appointment, we will be happy to assist. Please contact us.